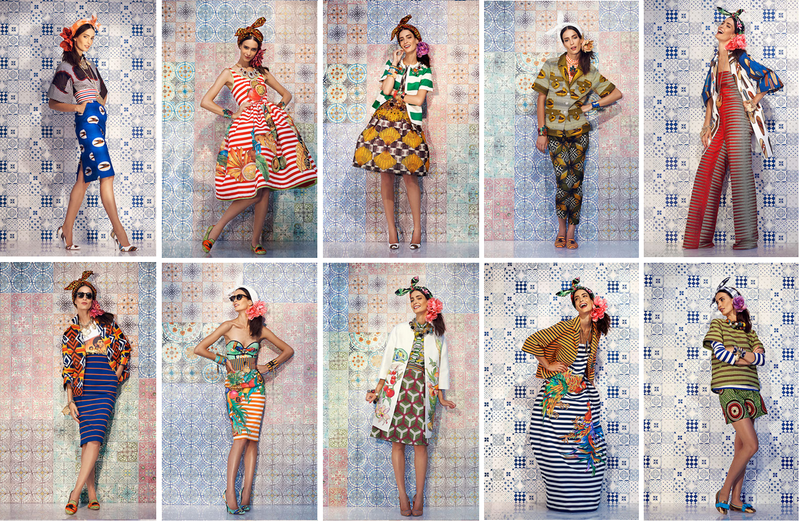 The 2014 Prints Challenge and Designer Stella Jean! I grew up with little money, left home at 17 to make my way in the world, and continued to live close to the wire financially for a very long time. It's only in the last few years I have had the ability to actually work with a stylist and build a proper wardrobe. When I first began writing about fashion, it was so hard to choose something to wear to interviews and shows. Most of my clothes came from Costco, Value Village and lower priced department stores. Shoes were from Payless. It really wasn't a choice. It was financial necessity. If there was extra money - it went to the kids who were growing between 2-4 inches a year at times. Yes they are tall. For many years, my husband cut my hair and I cut his plus all 3 kids just to save a few bucks. So glad that time is now passed. It is wonderful to open my closet and see clothing with a story. I know that designer, I remember their journey, and when I wear these garments, they have a special meaning for me. They are also quality pieces I can cherish for a very long time - not here today, gone tomorrow throw away items. Stylist Shannon Belsito held my hand through this journey for 4 years - 8 seasons - from first tear filled, frustrating shopping experience trying to figure out what worked on my older silhouette, until she left on a grand adventure in 2013. Over time I slowly learned what fit my changing body and new ways to style that accented the positives and hid the negatives - we all have them. Still a VERY long way to go, but I will forever be grateful for her guidance. Styling is not a skill you pick up if the only point of shopping is how many pieces you can get for the least amount money, ensuring you aren't walking around naked because of an empty closet. Now to the point of THIS article. What I have still not learned, and am determined to add to my repertoire in the next year, is how to successfully combine prints. I love colour and texture and am always amazed when someone has the ability to take widely different patterns and combine them into one show-stopping outfit. This came to mind again yesterday when I saw a twitter talking about Milan-based Italian designer Stella Jean. After looking her up, I was inspired to finally take up this challenge for 2014. Born in Italy into a multiracial family (dad is from Turin, mom is from Haiti), the designer embraces a mix of European and Creole influences. In an article for Vogue UK called Stella Jean Calls for a Fashion Revolution she shared, "Fashion can be used as a cultural translator and a tool against colonisation; it re-establishes the balance between symbols, stories and different worlds through style. Being part of a multiracial family in Italy in the Eighties not only shaped me as a person, but also inspired my professional path - however, it has been neither simple nor painless." Although her route into the fashion world began as a model, it was the design studio that eventually drew her passion. 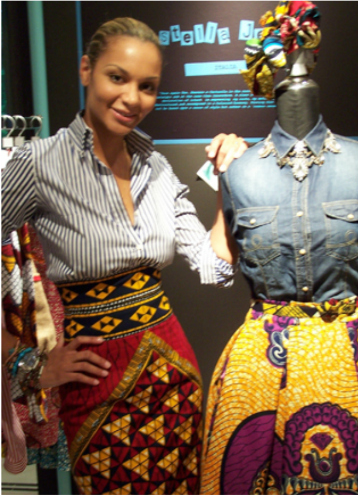 She embraces ethical practises and is a strong supportive of the International Trade Centre's Ethical Fashion Initiative. Her mentor? None other than Giorgio Armani, who selected Jean to show in his Teatro space - the first time Armani has opened his catwalk venue to another womenswear designer. Stella Jean creates investment pieces to cherish for the "spirited women who travel the world." Rather than describe looks - nothing could be more boring - I am offering you a garden of images and a video. 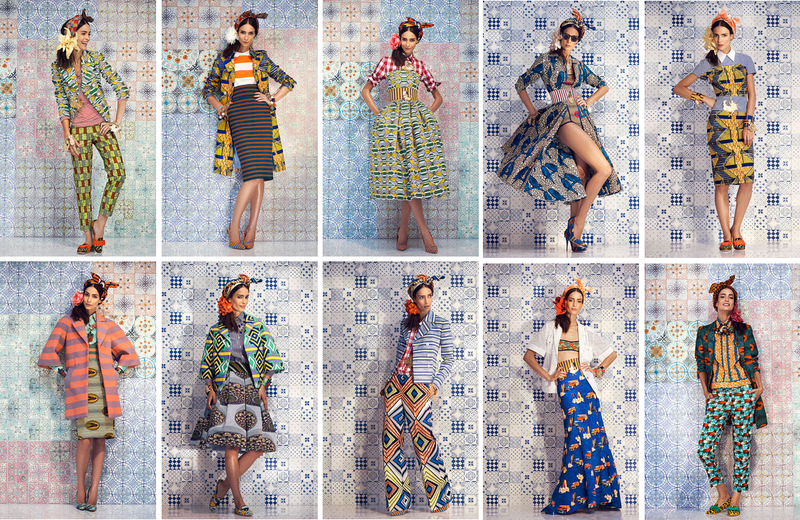 The main set of images are looks from S/S 14 featuring stunning prints sourced from women living in villages in Burkina Faso. I am in awe. It was difficult to find the inspiration for this one. I think in looking at all her interviews, the main creative impetus came from the prints she sourced through the International Trade Centre, but I did find one article that stated it was,"...Inspired by the evocative black and white images of aristocrats vacationing in the 60s." Take that with caution as I haven't been able to confirm it. For F/W 14 I have a video of Jean's collection showing on the runway. The inspiration for this collection was a "ménage a trois of Italian, Japanese and African cultures" that would play out a “hybrid of geisha and mannish attitude.” And at the very bottom you'll find a large poster featuring mini-images of the same collection. 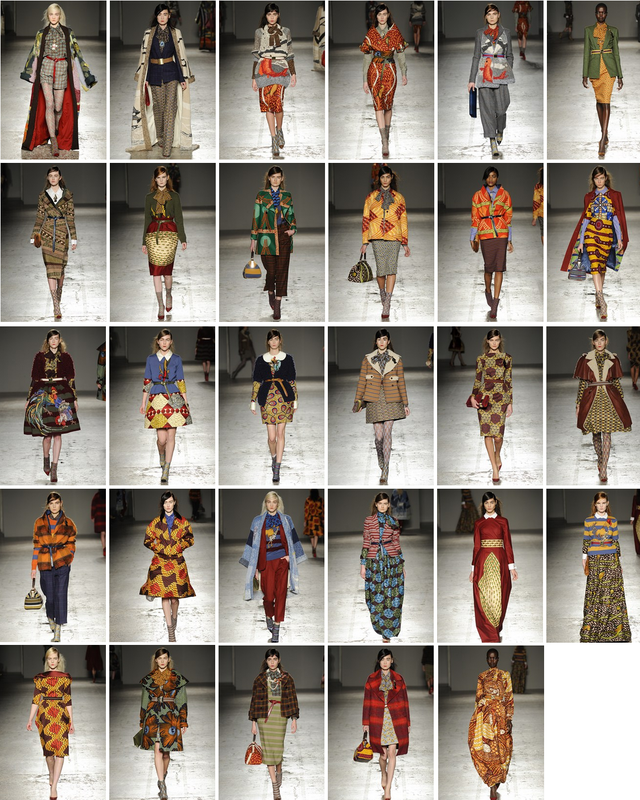 You can view full-size images at Vogue UK Catwalk Report - Stella Jean. 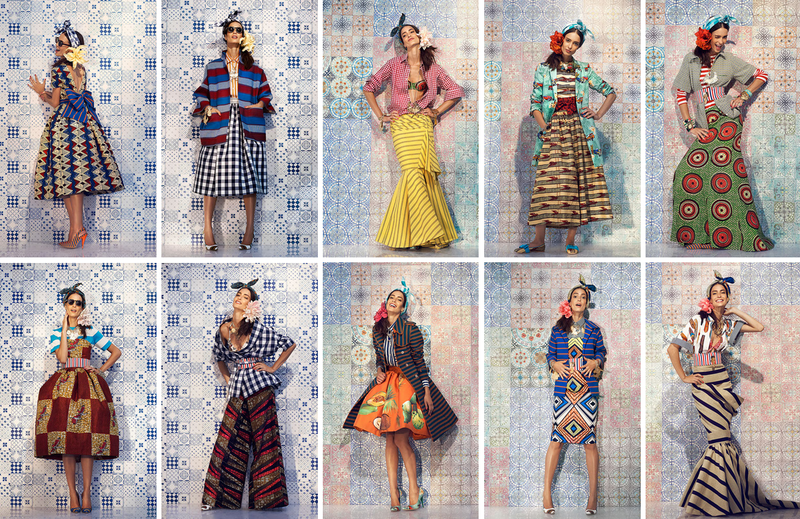 With these images as a starting point and great fear, I approach my 2014 fashion challenge of learning how to combine unusual prints into an amazing look. If there are mistakes along the way, I hope everyone will be patient. It's a new muscle for me to flex.